I came across this letter to Vincent in a recycling bin. I think it’s really sad and beautiful. 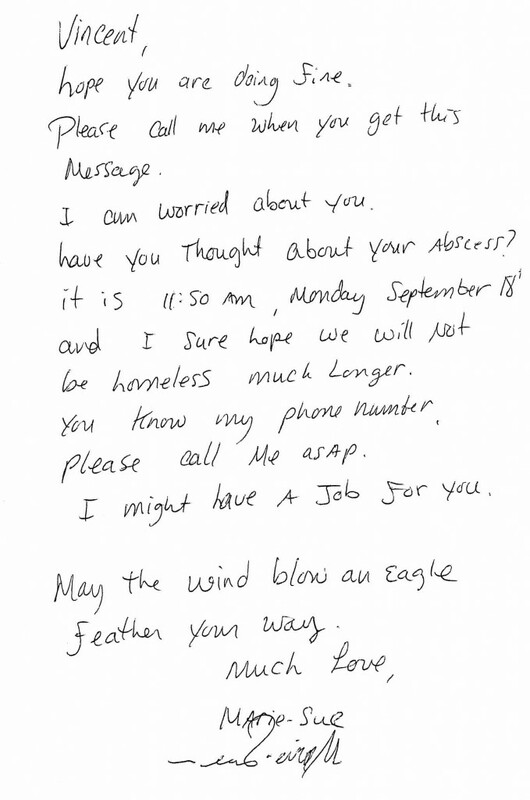 It makes me wonder if he ever called or if the wind brought him that feather.